“A brilliant orator, a firebrand for freedom and individual rights, Henry stands as an American luminary, and Kukla’s magisterial biography shines the glow of achievement on subject and author alike” (Richmond Times Dispatch). 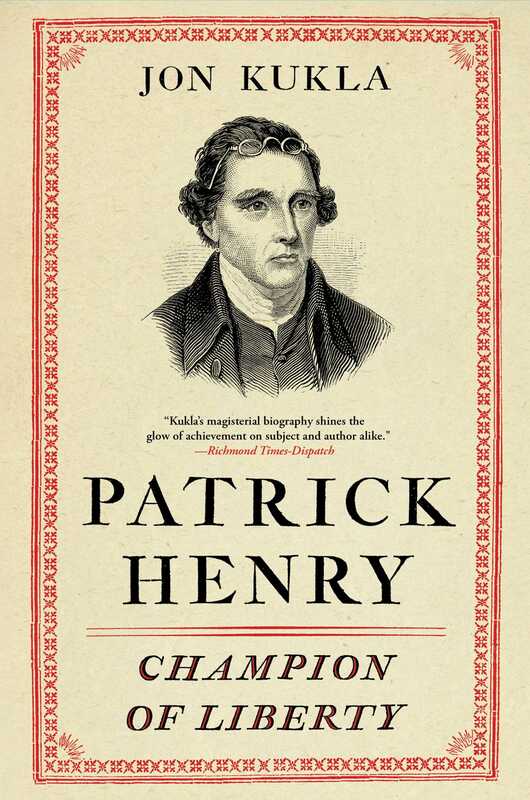 Patrick Henry restores its subject, long underappreciated in history as a founding father, to his seminal place in the story of American independence. Patrick Henry is best known for his fiery declaration, “Give me liberty, or give me death!” Born in 1736, he became an attorney and planter before being elected as the first governor of Virginia after independence, winning reelection several times. After declining to attend the Constitutional Convention of 1787, Henry opposed the Constitution, arguing that it granted too much power to the central government. He pushed vigorously for the ten amendments to the new Constitution, and then supported Washington and national unity against the bitter party divisions of the 1790s. Henry denounced slavery as evil, but he accepted its continuation. Henry was enormously influential in his time, but many of his accomplishments were subsequently all but forgotten. Jon Kukla’s “detailed, compelling…definitive” (Kirkus Reviews) biography restores Henry and his Virginia compatriots to the front rank of advocates for American independence. Kukla has thoroughly researched Henry’s life, even living on one of Henry’s estates. He brings both newly discovered documents and new insights to Henry, the Revolution, the Constitutional era, and the early Republic. This “informational and enlightening biography of the great agitator for democracy” (Library Journal) is a vital contribution to our understanding of the nation’s founding. AFTER SWALLOWING A DOSE of liquid mercury on Thursday morning, June 6, 1799, Patrick Henry sat calmly near a window at the northeast corner of his modest house in Charlotte County, Virginia. As he pondered the blood congealing under his fingernails, Henry whispered words of comfort to his wife and children and waited for the mercury to cure him or kill him. Henry was sixty-three. He had been seriously ill since early April, when he described his symptoms to physician George Cabell, of Lynchburg, as something “like the Gravel.” Kidney stones large and small—the stone and the gravel—were common afflictions in the eighteenth century, painful or annoying but rarely fatal. Pharmacy ads in the Virginia Gazette touted cures and treatments such as tincture of goldenrod, Blackrie’s Lixivium, and Swinsen’s Electuary for the Stone and Gravel. By the first of June, Dr. Cabell’s diagnosis was more grim. Henry was now suffering from a life-threatening intestinal obstruction called intussusception. Part of his intestine had telescoped into itself, blocking the digestive tract. Infection and death were imminent unless the blockage could be relieved. The remedy was risky. With luck the weight of a large dose of liquid mercury, which is 20 percent heavier than lead, might unravel the intestinal knot, pass through his bowels, and save Henry’s life. If the blockage persisted, however, Henry’s body would absorb the mercury, the muscles of his chest would fail, and he would die by suffocation. Family members who gathered at Red Hill that morning left a poignant record of the final conversation between the dying patriot and his physician. “I suppose, doctor, this is your last resort,” Henry said as he accepted the vial of mercury. “What will be the effect of this medicine?” Henry asked. “It will give you immediate relief, or . . .” Cabell was unable to finish his sentence. “Excuse me, doctor, for a few minutes,” Henry replied, drawing his silk cap down over his eyes. Holding the vial of mercury in his hand, Henry prayed briefly for his family, his country, and himself. He swallowed the medicine and spoke quietly for a while with his family and physician. Finally he breathed “very softly for some moments” and died. For half a dozen years Patrick Henry had regarded Red Hill, the last of the twelve places he had lived since his birth in Hanover County in 1736, as “one of the garden spots of the world.” Five hundred feet above sea level, the plantation’s 2,900 acres straddled the line between Campbell and Charlotte counties. The southern vista from his house looked down on the ferry across the Staunton River and the wooded hills of Halifax County. Just beyond the southern horizon lay the Virginia–North Carolina border, drawn in a 1728 feat of exploration celebrated in William Byrd II’s History of the Dividing Line. To the north, through the window nearest the corner where he spent the last hours of his life, Henry could see a century-old osage-orange tree, which has since grown into the gnarled giant designated as an American champion for the species. Visible to his right were young figs ripening along the walkway that linked Henry’s house and its adjacent kitchen, a small clapboard shed dominated by its massive brick fireplace and oven, with the two-room frame structure that served as his law office. There, on his desk, Patrick Henry had left two messages for posterity—testaments both to his private religious faith and his hopes for America’s future. On the desk next to his will Henry had left a sealed envelope addressed to his executors. It contained a single sheet of paper. One side bore the text of his 1765 resolutions against the Stamp Act, which men and women of his day acknowledged as a starting point of the American Revolution. The other side offered a message to his fellow citizens that Henry knew could only be read after his death. Reader! whoever thou art, remember this, and in thy Sphere, practice Virtue thyself, and encourage it in others. At his death as through his life, Patrick Henry affirmed the interaction of personal faith and civic responsibility—Christian virtue and classical-republican virtù—that sustained many eighteenth-century Americans. Patrick Henry was only sixty-three when he died, but he had outlived virtually all the leaders who had challenged Parliament and the crown in the early 1760s. John Dickinson, Benjamin Franklin, John Hancock, and James Otis, Jr., were dead—as were such Virginia comrades as Richard Bland, Landon Carter, George Mason, Richard Henry Lee, and Peyton Randolph. Only three other prominent men from the very earliest controversy over the Stamp Act were still alive when Patrick Henry died: George Washington, George Wythe, and George III. Hundreds of younger American participants in the American Revolution, such as Alexander Hamilton, John Jay, Gouverneur Morris, and even John Adams, were relative latecomers to the struggle against England—as were such living Virginians as Thomas Jefferson, James Madison, John Marshall, Edmund Pendleton, and Edmund Randolph. Students of the Constitution and its ratification by the states also remember Patrick Henry, a dozen years later, as the critic whose thundering arguments nearly kept Virginia from ratifying the plan—and whose political clout kept James Madison out of the new Senate and forced him to promise the voters a Bill of Rights and push it through Congress. The great debates of 1787–1788 remind us again of Henry’s long career on the center stage of American history. Of all the major participants in the drafting and ratification of the Constitution, only Patrick Henry, Samuel Adams, and Benjamin Franklin had been prominent in the opposition to the Stamp Act a quarter of a century earlier. Throughout his life, Patrick Henry adhered to a cluster of five tactical ideas that drove him and his neighbors first to resist and then to declare themselves independent of Great Britain. He believed that the burgesses and councilors who comprised Virginia’s legislative assembly spoke for the people of Virginia just as members of the House of Lords and House of Commons served as the constitutional legislature for the people of England, Scotland, and Wales—and that Parliament had no legitimate authority in Virginia’s internal government. Second, he acknowledged allegiance to the British monarch based on the compact, enshrined in the coronation oath, by which kings promised to protect their subjects in exchange for their allegiance—and by which, as John Locke had written, a monarch who broke that promise forfeited his subjects’ allegiance and degenerated from a king into a tyrant. Third, Henry believed that the protection of American liberty demanded unanimity between the people of Virginia and their compatriots in the other colonies or states. Fourth, Henry recognized the necessity of invoking sanctions against enemies of the community in defense of liberty and the common good. And finally, Henry genuinely respected the will of the people when expressed fairly through democratic institutions. None of these ideas was unique to Henry, and many other ideas figured prominently in his life and career (including concepts of liberty, equality, rule of law, freedom of conscience, religious toleration, representation, federalism, separation of powers, and the list of republican virtues he enshrined in the Virginia Declaration of Rights: justice, moderation, temperance, frugality, virtue, and a “frequent recurrence to fundamental principles”). In support of these and other civic principles, nevertheless, the five tactical elements sustained Patrick Henry’s course during Virginia’s transition from the oldest and largest of Great Britain’s American colonies when he was born in 1736 to the largest and arguably still most influential of the American states when he died in 1799. Patrick Henry’s fame endured throughout the nineteenth century, despite some political enmity from Jefferson and his supporters, so long as Americans continued to appreciate the powers of great oratory. But fame is fleeting—at best a transient epitaph—and written texts outlast spoken words. Patrick Henry could leave a copy of his Stamp Act Resolutions in his law office, and he could write a message to posterity about virtue, but some of the powerful speeches with which he made history were lost forever. Jeremy Belknap and other Americans remembered that Henry’s resolutions had rallied the colonies to resist Great Britain in 1765 and 1775, but few Americans knew how Henry’s earlier participation in the Parsons’ Cause of 1763 set the stage for Virginia’s decisive reaction to the Stamp Act. And fewer still could see beyond his oratorical prowess to his frequent acts of statesmanship. Jon Kukla is the author of Patrick Henry, Mr. Jefferson’s Women, and A Wilderness So Immense: The Louisiana Purchase and the Destiny of America, as well as many scholarly articles and reviews. 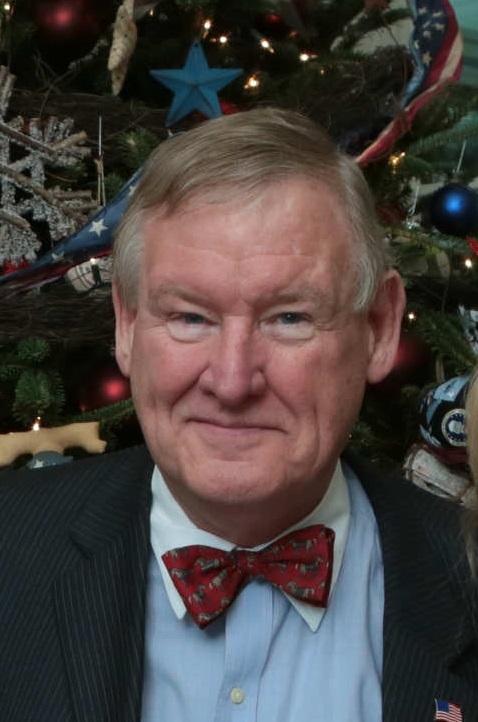 An authority on early American history, he has directed research and publishing at the Library of Virginia and served as executive director of the Historic New Orleans Collection and of Red Hill-The Patrick Henry National Memorial in Charlotte County, Virginia. He lives in Richmond, Virginia. "A brilliant orator, a firebrand for freedom and individual rights, Henry stands as an American luminary, and Kukla’s magisterial biography shines the glow of achievement on subject and author alike."